Are you considering the idea of getting a website for your business? 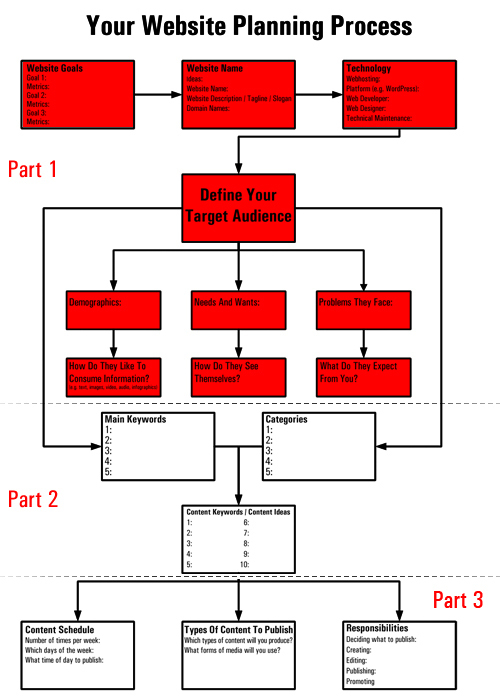 Then this basic guide to planning your website is for you. Note: This is Part 2 of the article where we take you through the process of planning a new web presence. As you can see, in the previous section of this guide we have established the foundations for planning your business website. If you have been following the process, you would have a clear idea of your site’s goals and objectives, established your website name, decided on the technology platform you will use and have a good understanding of your target audience. At this point, many people begin building their website. We recommend, however, that you go through the planning process presented in this guide, as we will now address web content planning and reviewing effective strategies for publishing and managing your content. 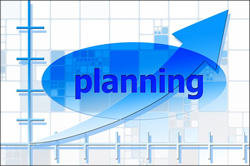 Getting all of the planning completely done before you start building your web site could save you time and money. Once you have a good idea of who you will be targeting with your site, it’s time to identify the main keywords that you want people and search engines to associate with your website. This will help search engines connect your site with your target audience. Ideally, you should aim for key phrases that have “low competition” and a reasonable number of users searching for these every month. Depending on your business, you may also want to focus on keyword phrases within your target niche that have some level of commercial viability. 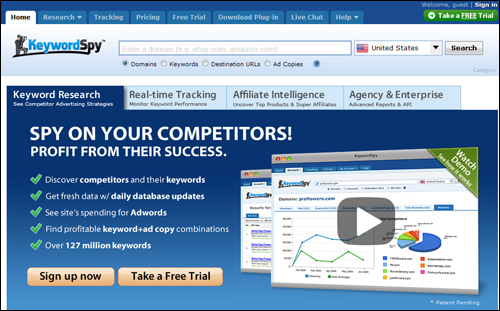 There are many tools you can use to find great keyword phrases, including free tools. If you have a Google Adwords account, for example, you can use the Google Keyword Planner. 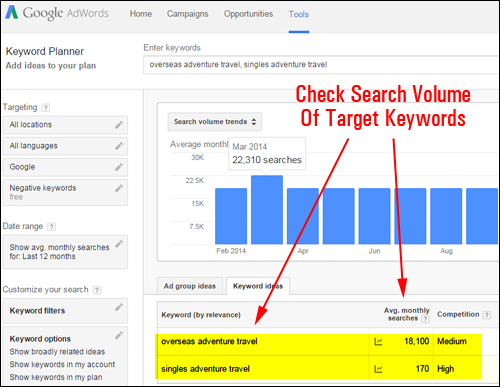 According to this keyword research tool, however, the number of web sites competing in the search space for “singles adventure travel“, is significantly higher than sites trying to rank for a keyword phrase like “overseas adventure travel“. This could be because one key phrase relates to a more targeted audience (i.e. “singles” looking for adventure travel), while the other is more generalized, or because there is more money to be made selling adventure travel products to singles, etc..
Keyword research can also help you understand the commercial potential of certain keyword phrases. Typically, smart advertisers will promote keyword phrases that are aimed towards “buyers”, rather than key phrases aimed more towards attracting users who are simply browsing or researching products or services online. For example, users searching online for the keywords “color printer” are typically not as ready yet to invest in a color printer as people who search for “konica minolta bizhub 4000P review”, so if you plan to sell or review color printers on your website, you would want to aim for longer, more descriptive and more targeted key phrases (called “long tail keywords”), hopefully with a high search volume and low to medium competition. It will help your site, therefore, to have a few highly searched keywords in your content. However, don’t go “crazy” doing keyword research for every piece of content you plan to add to your site, especially when you are just starting out. Start simple. Make a list of the “top” 5 keywords you would like your website to rank well for in the search engines, make sure that these keywords have a decent search volume and then use these key phrases naturally in your posts (i.e. 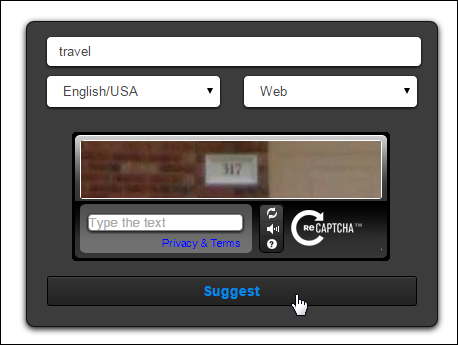 aim to write your web content for humans, not search engine robots). Once your site starts to bring in visitors, you can then review actual data like keyword searches online users are typing into search engines to find your site from analytic tools and apply the information to refine your keyword research and get better results online. Tip #1: Avoid basing keywords that return extremely low to no monthly searches, or that have no commercial intent. 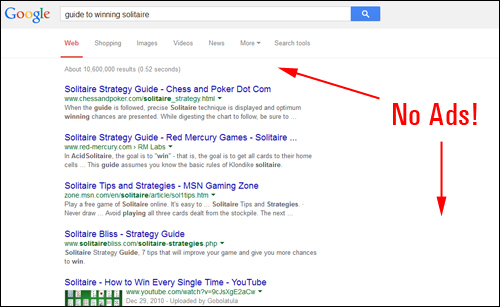 There’s no point ranking #1 in Google for a keyword that no one is searching for. Also, if you type keywords into Google and no one is advertising products or services for it (i.e. no Google advertisements show up), then that keyword most likely has no commercial value or is unprofitable. 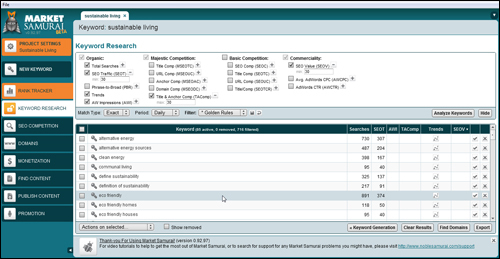 The Keyword Planner Tool lets you explore keywords and keyword-based advertising ideas (e.g. pay-per-click advertising), analyze competitive keyword statistics, see how a list of keywords might perform in ad campaigns and even create a new keyword list by multiplying several keyword lists together. 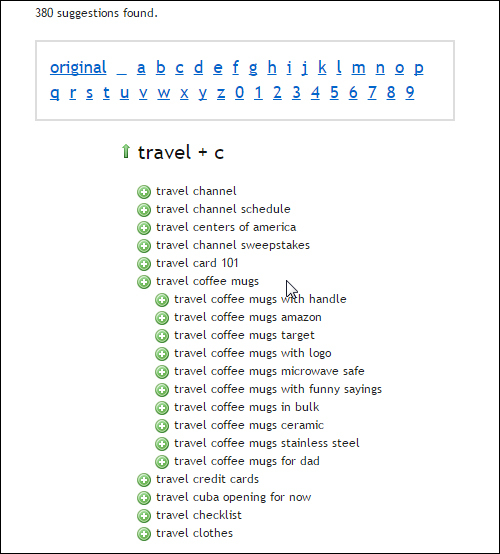 UberSuggest is a free tool that essentially lets you perform the same function as typing your topic into the Google search box and seeing what topics or ideas are selected. Market Samurai is an inexpensive tool that provides not just keyword research, but also additional content and SEO research tools, plus excellent training tutorials on how to perform SEO keyword research. 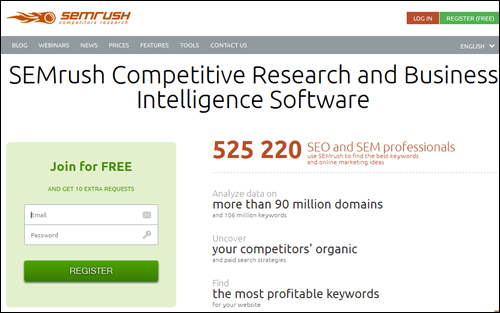 SEMRush lets you enter the URLs of your competitors and the tool will then show you all the keywords that the site is ranking for, making it easier to find short-tail and long-tail keywords that you can use to grow your own site. Keyword Spy is an SEO tool that is primarily used for performing keyword research. You can use Keyword Spy to view competitor keywords and to research keywords for your own website and content marketing strategy. 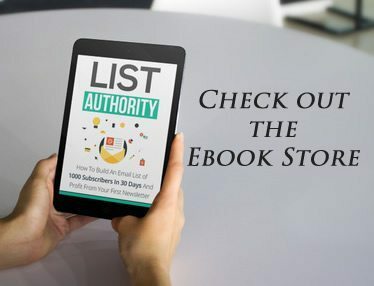 Decide on specific topics in your niche that people will be interested in learning about and create a list of “categories” for all the topics that you plan to write content about. 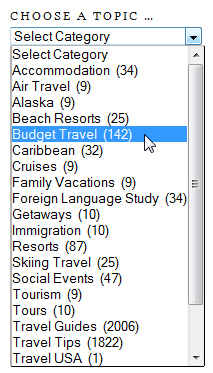 For example, if you run a travel agency, your categories could include topics such as: “business travel”, “luxury travel”, “romantic destinations”, “holiday packages”, “overnight accommodation”, “travel discounts”, “cruises”, “airfare discounts”, “Caribbean Travel,” or any category of travel-related services your business offers. Plan to create an initial list of about 5 – 8 categories. You can always add more categories to your site later on. WordPress provides two pre-defined ways of grouping and organizing content on your website (WordPress refers to these as taxonomies): “categories” and “tags”. 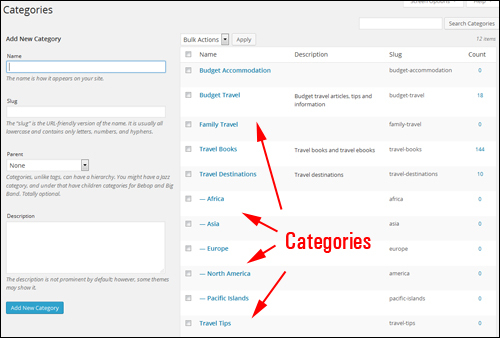 WordPress makes managing categories easy. It also lets you easily create new categories and assign your posts to different categories to help keep your content organized. Choosing the right keywords when naming your categories can increase your website’s SEO rankings. Categories allow visitors to easily navigate through your site’s content. 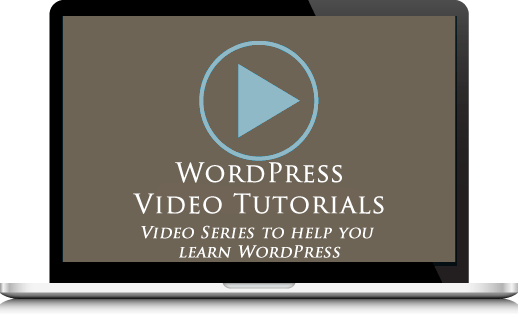 WordPress turns every category you create into a searchable webpage. Now that you have created a list of keywords and categories, the next step is to create your content strategy. 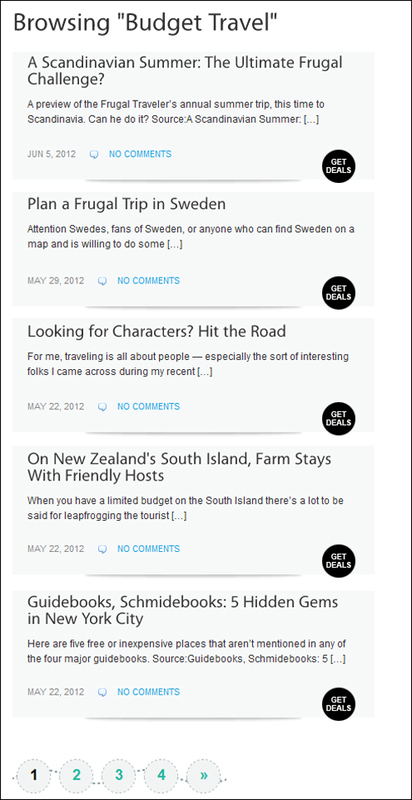 You need content for your “static” website pages (e.g. 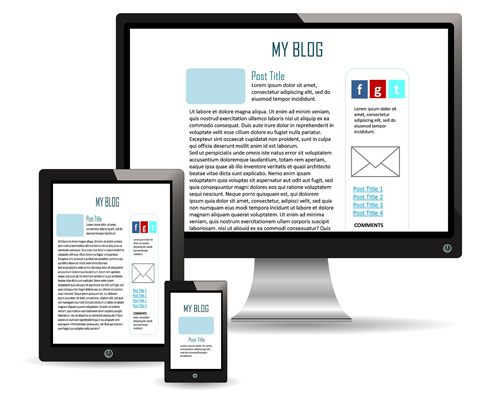 your “About Us” page, legal pages and your services, and you will also need content to publish regularly on your site. Make sure that you have content for all of your “fixed” website pages already written before you begin building your site, especially if you plan to get someone else involved in the process. This will help to avoid additional costs caused by delays or unpreparedness. 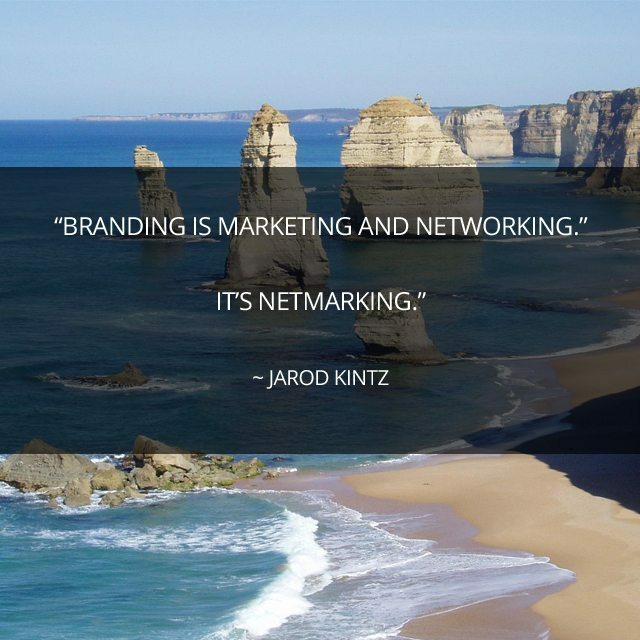 Business name and brief description of your business. Content for your “Home Page”. Content for your “About Us” page. Content for your “Products/Services” page(s). Images (e.g. personnel photos, etc.). Image formats = .jpg, .png or .gif. 2 – 3 initial posts to be used as “seed content” for your site (saved in Word document or plain text file). List of all URLs and additional contact details to be included in your site (e.g. “Vendors”, etc. Also, make sure that all URLs you plan to add to your site and all other details like spelling, phone numbers, etc. are correct. 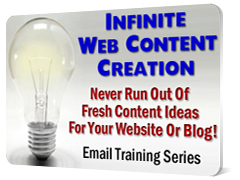 Here is a “quick” method you can use to help you create a list of content ideas for your site. 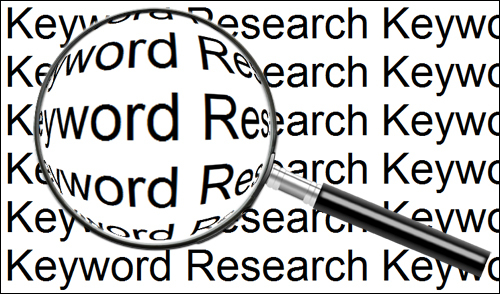 Write down 7 keywords, and for each keyword, list one article idea you can add to your site. What aspect of your services could you educate prospective customers about to help eliminate objections? What problems do you or your services help your customers solve? What reviews can you provide to help more customers buy from you? What are some of the more common FAQs you get from visitors and prospective customers? 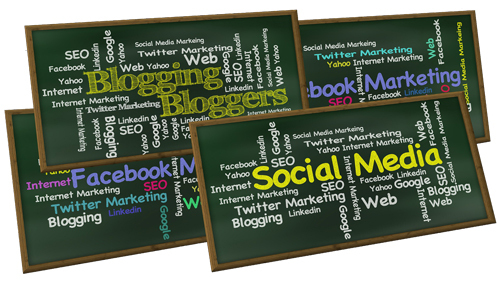 Once you have a list of web content topics, continually add to this list. We provide our clients and subscribers with detailed training email on how to develop a content marketing strategy, how to promote your business with content, and ways to never run out of content ideas. 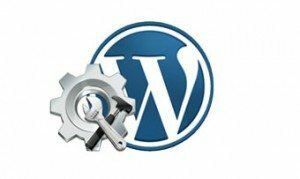 Do You Need Help To Manage Your WordPress Site? Disclaimer: This site is not associated with WordPress or any of the WordPress products written about on this site. We may derive a financial benefit from sales of products advertised, reviewed or linked to from this site. The product images used in this review have been sourced from the plugin’s own website. I have been freelancing for a number of years and specialize in anything WordPress, from full site setup and theme customization to minor tweaks. I have a profile on both oDesk and Elance and am always available to discuss any projects that would be suitable to by built using WordPress. I have been freelancing for a number of years and specialize in anything WordPress, from full site setup and theme customization to minor tweaks. I have a profile on both oDesk and Elance and am always available to discuss any projects that would be suitable to by built using WordPress. Is Your Website Destroying Your Online Business Potential?